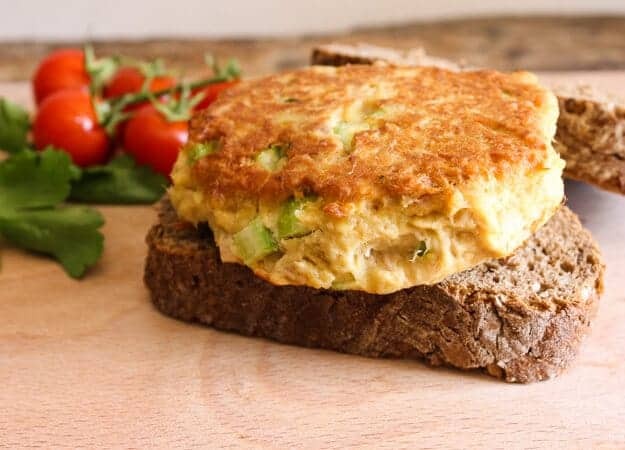 Healthy Delicious Best Ever Tuna Burgers, these are so good and full of flavour you won’t even miss the meat. 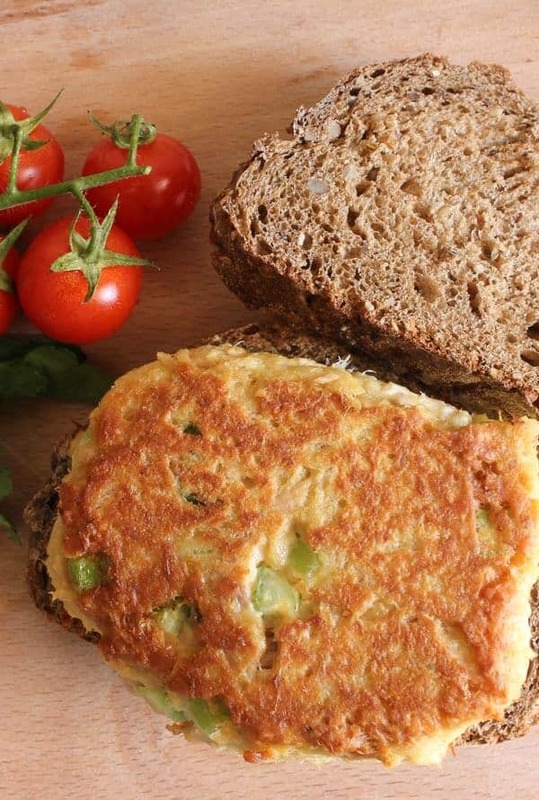 Tuna Burgers a new healthy Meal your whole family will love. Tuna Burgers I make these at least once a week, a big favourite in our house. A quick and easy lunch or even dinner idea. Now that the warmer weather is finally heading our way, I hope for most of you also, I have noticed that a few things have gotten a little tighter, pants tops whatever! I have decided that I will stick to healthy or healthier choices for a while. At least until Easter when I get my hands on my favourite chocolate egg. It is so much easier I find to eat healthier when our healthier choices taste amazing like this Borlotti Bean Salad. It has been a while since I made this Tuna Burger. But since the return of my eldest daughter, the Journalist, who by the way is probably one of the healthiest eaters I know, I decided to lighten this Tuna Burger up a bit. I added crushed cracker crumbs and light mayonnaise and of course Tuna packed in water. I added an egg, some chopped fresh parsley and of course chopped celery. I added crushed cracker crumbs and light mayonaise and of course Tuna packed in water. I added an egg, some chopped fresh parsley and of course chopped celery. I think it would be really yummy if you also added some chopped onion, but unfortunately onions are not one of my daughters foods of choice. These Tuna Burgers make up so quick and cook even faster. They are absolutely delicious between two slices of pumpernickel bread or any bread of choice. Or if you decide to go really light, a tossed salad on the side would be the perfect combination. If you are looking for another healthy fish dish grilled Salmon is another good choice. 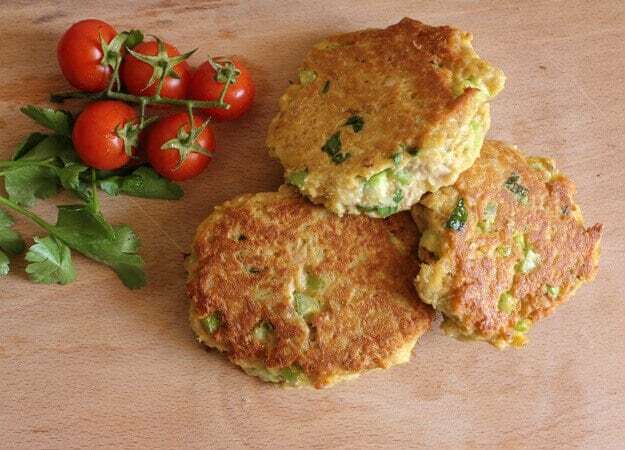 My daughter absolutely loved these Tuna Burgers and even asked when I was going to make them again! I decided to share this amazing tuna burger recipe after I was told about the collaboration between famous vegan chef Tal Ronnen and the Wynn Resort in Las Vegas to create delicious vegetarian and vegan recipes for all the Wynn restaurants. And since not all of us can go to Sin City and taste those dishes, after taking a look at the options Chef Ronnen’s menu offers, I chose to give his crab cake my own, personal touch. And voilà, this is how the tuna burger found its place on the blog. Tuna Burgers, who needs meat when these Tuna Burgers become the best burger ever. Not only delicious but healthy too! 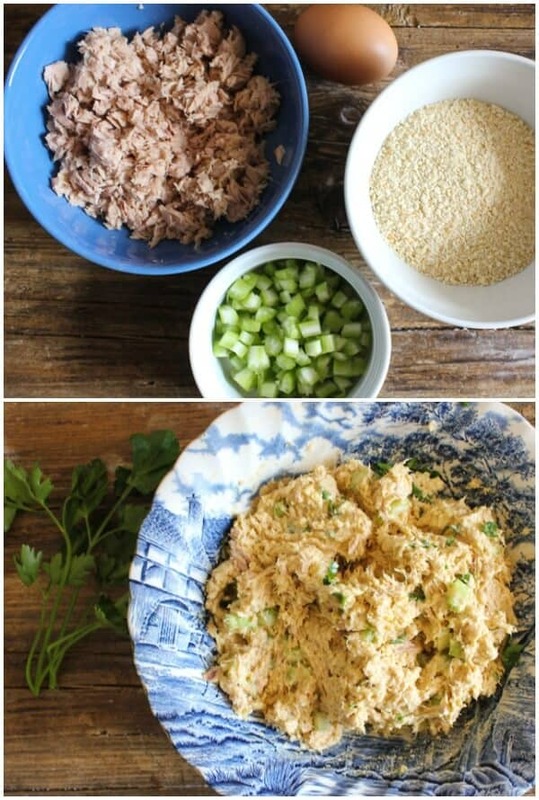 In a medium bowl add tuna and flake well with a fork, add cracker crumbs, egg, celery and mayonnaise. Form into patties (I made 5 patties), place in a lightly greased frying pan and cook on low-medium, approximately 4 minutes on each side until browned. Serve immediately. Enjoy! I didn’t have celery so I used chopped bell pepper and onion. I added a couple of tablespoons of lemon juice and the rind of a lemon, some black pepper and Old Bay seasoning. Also as I am gluten free, I used gluten-free Panko style crumbs. So delicious!!!!!!! These are my new favorite recipe! and so easy and fast to make! Thanks so much. Hi Anne, thanks Anne, glad you like them, and good idea on the chopped bell pepper. Happy New Year. My husband was nervous. But turned out to be great. Thank you. Delicious!! Hi Tanya, haha thanks so glad you enjoyed it. Have a great week. Hi Dirgni, thank you, I hope you liked them. Hi Barbara, so glad you enjoyed them, and yes I remember no meat on Fridays too. Have a wonderful week. Hi there does anyone know if you could freeze these? Hi Pamela, yes you can freeze them, but you should cook them first. Hope that helps. I have made these twice and, one word: terrific. I like to mix up the ingredients in the morning and put in the fridge. Later, it’s a simple and easy to prepare dish. I make smaller, about 12 patties. Also, I too use panko for their lightness, regular mayo because that’s all I have, and I add a bit of chili powder or Old Bay seasoning. My son likes them with Amish potato salad; I enjoy over a “supper” salad. They are also very pretty! Hi Marcy, so glad you enjoy them. Too bad I can’t get panko here, and my husband would love the hot pepper addition. Have a great day. Mmm this was so good thank you!! I added a couple splashed of teriyaki, and green onion and garlic powder and it was soo delicious! Hi Janelle, what great additions I will have to try it too next time. So glad you enjoyed them. Thanks, this was the perfect light dinner we needed tonight. Only change I made was using panko crumbs instead of crackers, because that is what I had on hand. This was great! Hi Tara, so glad you enjoyed it, a great Summer Dinner too. Have a great week. Can you sub the crackers for something else? Like Oats? Hi Krista, I really don’t know I have always used either crackers or bread crumbs, you could try and let me know how it tastes. I would have never thought to make tuna into a patty for a burger lie that! Looks delicious! Hi Whitney, thanks, they are really good. I usually make salmon burgers but, when I saw this I tried it and it was delicous! Thanks for the recipe! Hi Tina, thanks so glad you enjoyed them. Have a great week. Can this recipe be halved using one can of tuna; with respect to the egg in particular. Hi Margaret, sure you could half it, you could use a small egg. Hope that helps. I only started to use tinned fish since we moved to Hungary and these sound delicious, gotta give it a try! Hi Brian, tuna is really popular here also in the can. Hope you like them. I just made salmon burgers the other day but I love Tuna. I’ll have to try your recipe next time with tuna! looks delicious! Hi Megan, we prefer the tuna burgers, enjoy. I’m not a big Tuna fan. These look so good i’m actually thinking if making them. I also have a daughter that would enjoy your healthier version! Hi Diane, hope you enjoy them let me know. Have a great weekend. I haven’t had a grilled tuna sandwich, tuna melt, or tuna burger in ages. It’s definitely time to make one!! Hi Renee, a great change from a meat burger! Have a great weekend. I have never had a tuna burger and now I’m wondering why not? I mean, I love crab cakes and tuna melts, so I definitely need to try this! Hi Karen, give it a try they are really good. A nice change. My grandmother and mother used to make these when I was young using tuna packed in oil. I think I’ll try this but with left-over tuna steaks. Your recipe sounds delicious. Hi Tina Marie, that a good idea. Have a great weekend. These sound delicious!! You e got me wondering what type of cracker crumbs you use? Ritz, Saltine or something else? I don’t believe I have ever seen cracker crumbs sold in the stor, but then again I have never looked for them. In your opinion, which type of cracker works best? Hi Suzette, I know guilty as charged, actually I buy both, I blame packed in water on my daughters :). Hope you enjoy it. Thank you for sharing this… I have been looking for a tuna patty for so long. My coworker brings salmon patties to work, but I’m not a fan of salmon… the tuna, I will certainly try! Hi Byron, thank you I hope you enjoy these tuna burgers. Have a great day!